This is the sandal of legendary three-time world champ and perennial pro surfing powerhouse, Mick Fanning the ultimate athletic sandal of comfortable water-friendly synthetic nubuck upper. Mick relies on the contoured injection molded EVA footbed with anatomical arch support and full 360-degree heel airbag enclosed in soft poly for good reason. And in the fun department, it also features a church key built into the footbed to open your “soda” after a surf or hanging at the pool. 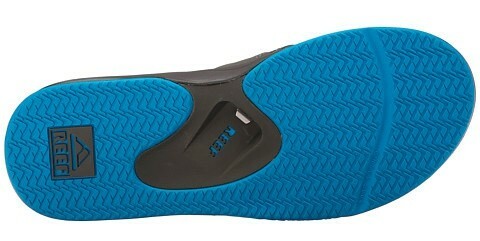 Reef Icon Herringbone rubber outsole.